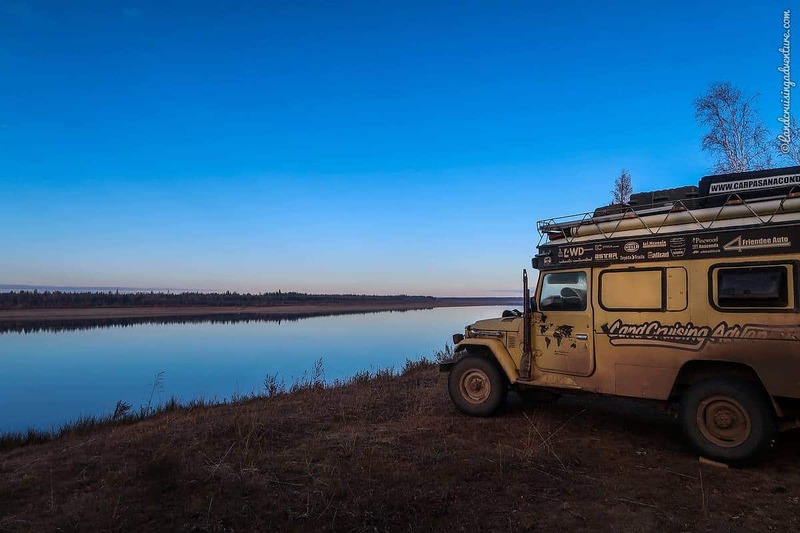 Six months of overland travel in Russia. What an adventure it has been. 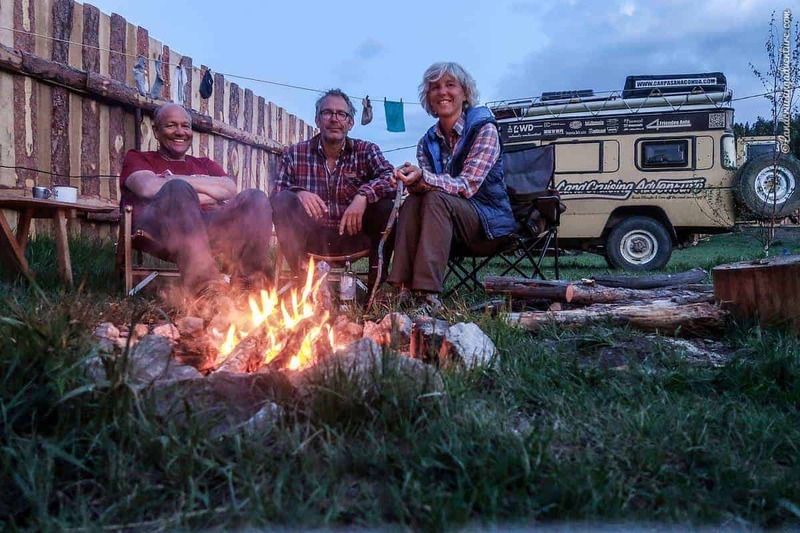 Overland camping in Russia has proved to be easy and we’ve stayed with wonderful people. Slow as always we took our time to explore and stay in places and so, after six months, we have seen ‘only’ the eastern side of the country. We drove from Vladivostok to Ulan Ude, along Lake Baikal into the Barguzin Valley, via Irkutsk and Ust Kut to Yakutsk (partly by boat) and to Kazakhstan. Thus we are not speaking about Russia in general, just about this part of it – my, this country is massive! 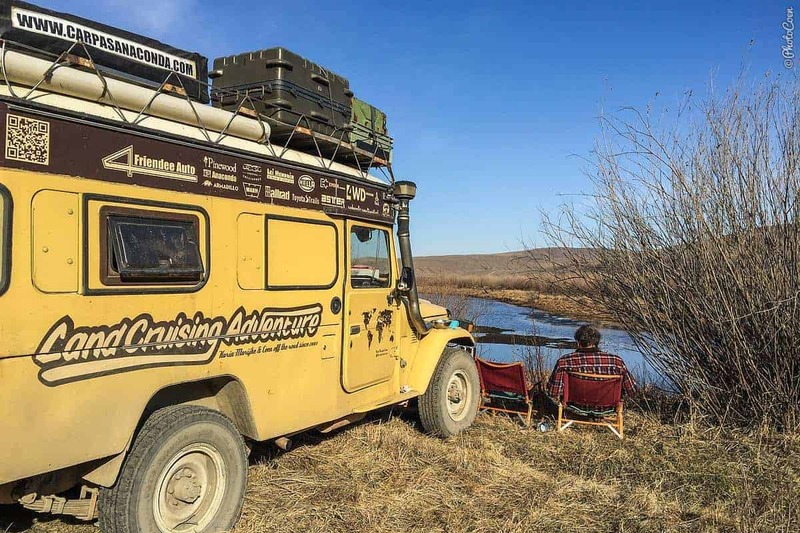 Here is an overview with our overland camps in Siberia and Russia’s Far East, as well as tips on other forms of accommodation. We felt safe rough camping. Unsurprisingly, considering the size of the sparsely populated country, it’s not hard to find secluded spots to set up camp for the night. A recommendation: When guidebooks detail the southeasternmost corner of the country, only Vladivostok gets a mention. However, the coast of Primorsky Krai is mind-blowing beautiful (although still cold at the beginning of April). Do calculate some time for exploring and rough camping. 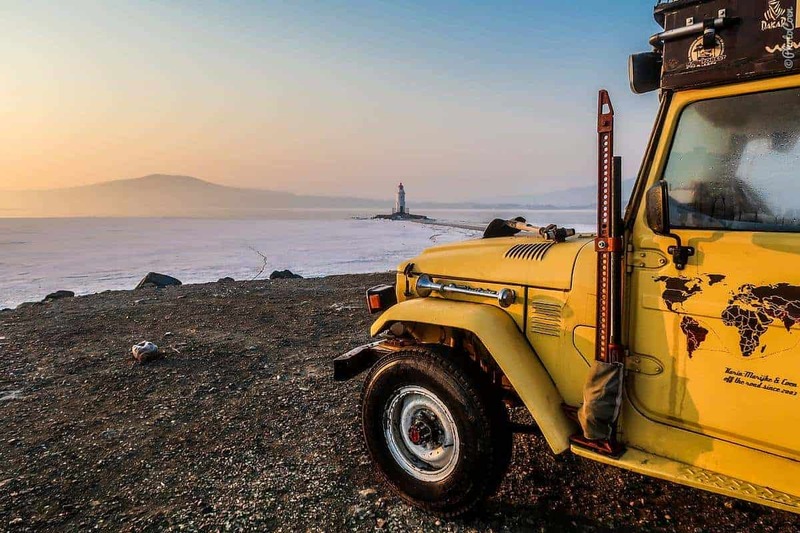 Why: At the tip of Vladivostok’s peninsula, hemmed in by the city’s big bays gives a feeling of being in the middle of nowhere. Camping here late March was cold but beautiful with the water surface still partly covered in ice. 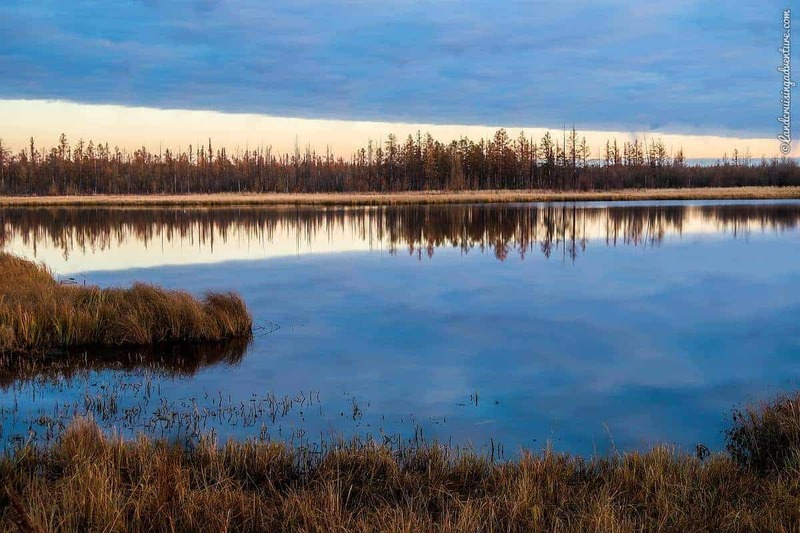 Another good option is Russky Island, where you can find camping spots along the shore or in the woods. 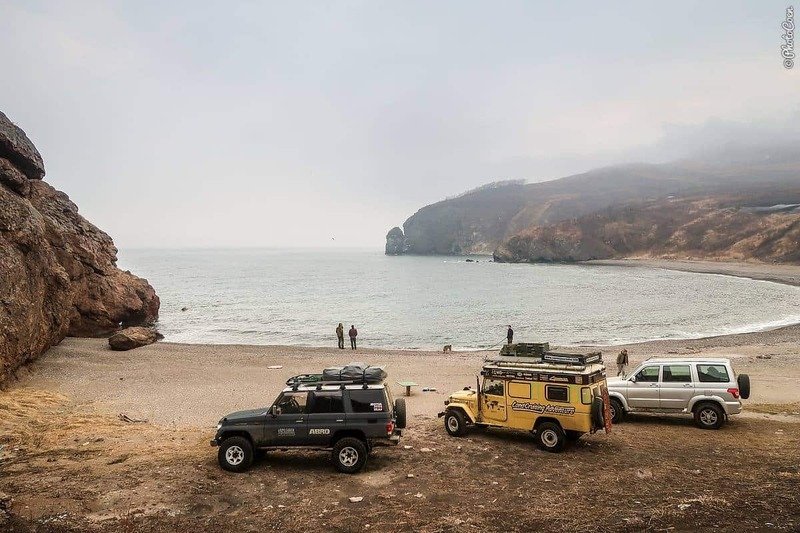 Why: The whole coast southwest of Vladivostok is fantastic, offering lots of beautiful wild camps. On the Krabbe Peninsula we camped at a secluded bay amidst a wilderness of grassy hills and views of the ocean. To get there is a stunning drive in itself. 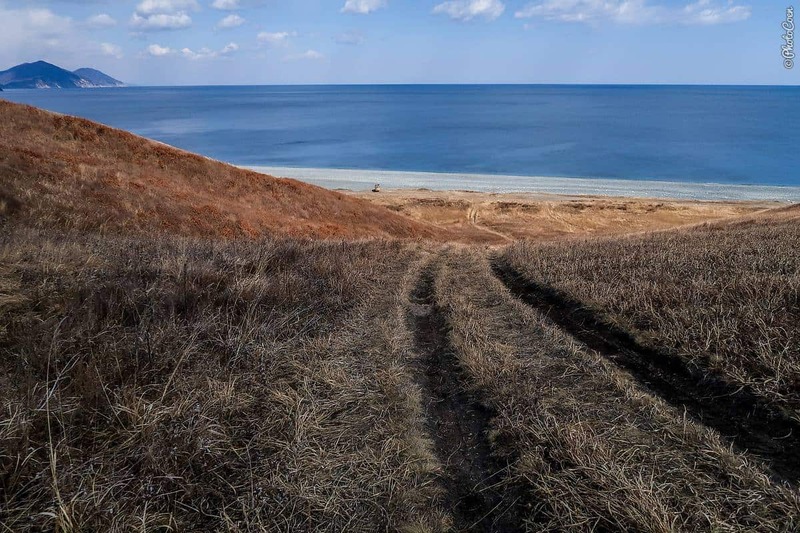 4WD/high-clearance vehicle is required to get to this most remote point of the peninsula. Courtesy of this beach among campers: if somebody is already camped at the left side and right side (so maximum of 2 vehicles/groups on that beach), you go elsewhere. Why: Maybe it’s crowded in summer, but early April no place could give a more desolate feel than this pebbled beach down a steep incline. That was exactly the charm of it. 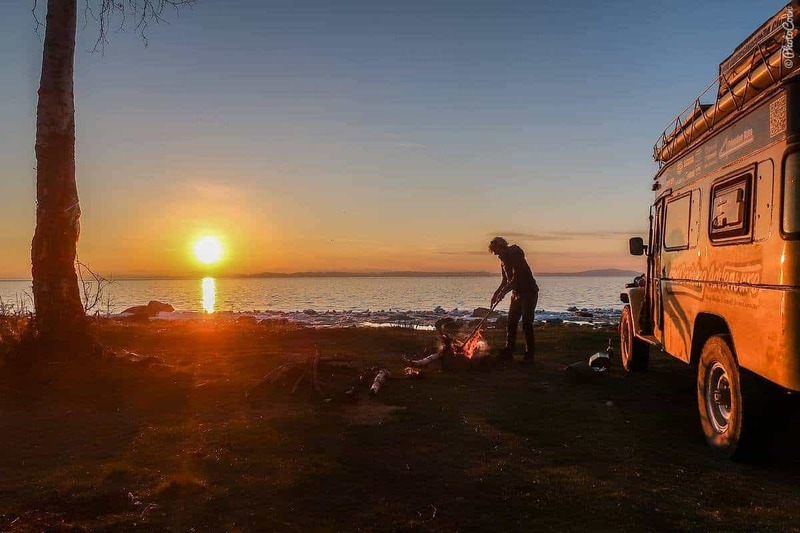 Why: A beautiful, peaceful overland camp along the river a few kilometers out of the village. We could easily have camped here for a week or so. You may want to camp a bit farther away from the road than we did because with the wind coming from the wrong direction, cars passing along the higher road will send a load of dust our way. Tip: visit the Tsugol Monastery. Near the village of Tsugol. Where: Reaching the lake coming from Ulan Ude, a road runs right along the shore up to Ust Barguzin. In between the road and lake is a forest with ample spots to pitch a tent. Why: The place was empty early May but there was still ice on the lake, making the whole place absolutely mesmerizing. 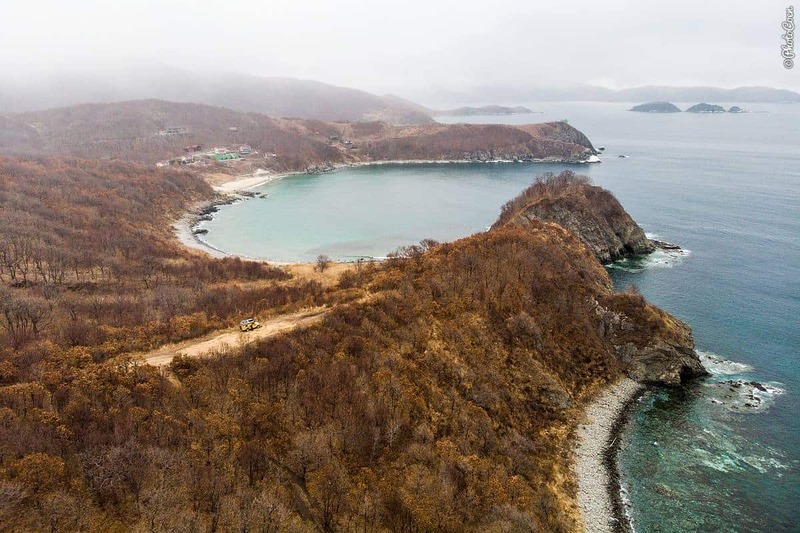 Where: Along the 20-km sand path that connects Ust Barguzin with the peninsula, you can camp all over the place. It’s an elongated stretch of forest and beach, at some spots with picknick tables and at intervals are outhouses. Maybe it’s packed in high season; early May we had the place to ourselves. Why: At the far end, we were still in winter with the bay around us covered in ice. The next day, we camped on the southern shore and suddenly spring was in the air and it was warm. Where: There is one road in and out, following and crossing water. Some sidetracks lead to hot springs. You’ll find plenty of places for wild camping. Why: It was just a beautiful valley, peaceful and quiet with good spots for camping along rivers. 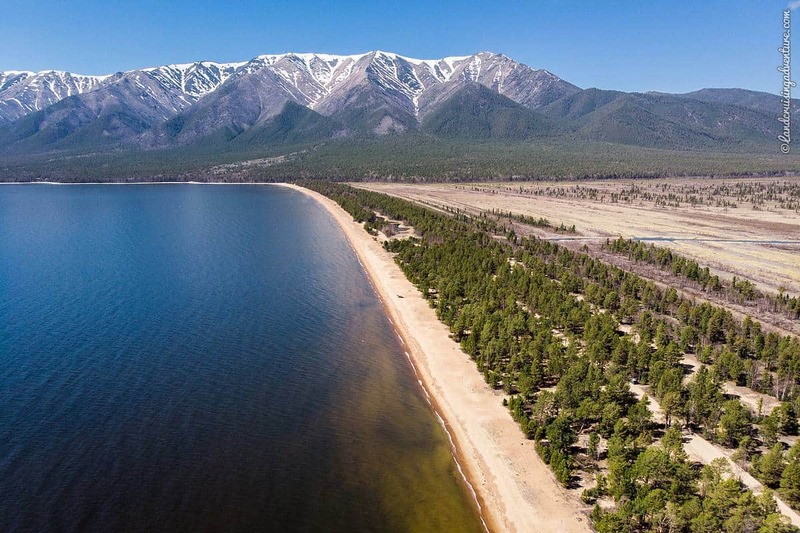 Where: There is paid accommodation a couple of kilometers inland from the main road Ulan Ude – Irkutsk (it’s signposted). But before that fence is a little corner right in the bend of the river where you can wild camp. Where: Uphill from the road between Irkutsk and Ust Kut. Why: While along the way it wasn’t hard to find camp spots, this one stood out. A trail meandered up the hill and ended at a graveyard. 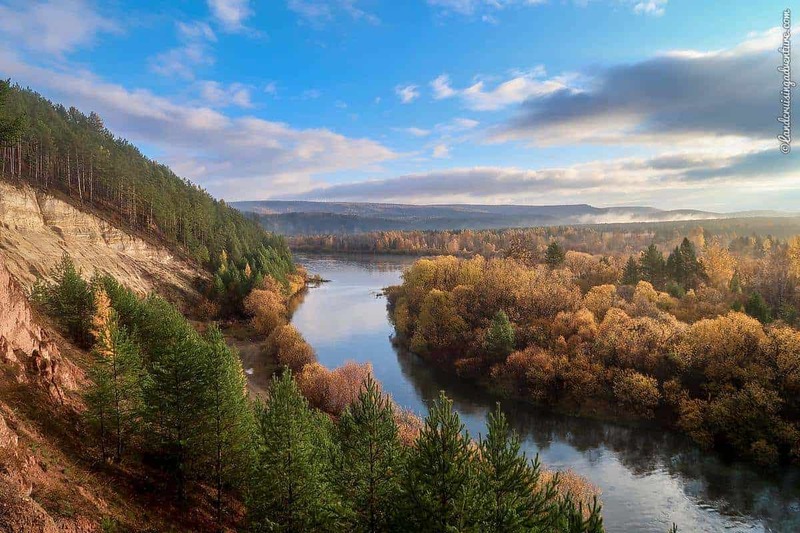 If you don’t mind sharing the space with ghosts that may inhabit the forest, you’ll be able to enjoy a fantastic view of the river and forests stretching to the horizon. Where: A few hundred meters away from one of the river crossings. Why: When we traveled here the first snow had fallen; temperatures were plummeting. This stopped us from extensive wild camping, however, if you are here in the ‘right’ season (whatever that means to you), there are numerous beautiful spots along the way. Sidetracks lead into forests, along waterways, and there are large open areas as well. Time for a reality check: not all our camp spots are idyllic! In fact quite a lot of nights we camped at convenient places, not beautiful places. Part of that reason was climate: winter with deep snow didn’t allow much for leisurely rough camping and so we’d often opt for a quick spot along the side of the right and drive on the next day. Another part of that reason is long distances with nothing in between. Every once in a while, even when traveling as slowly as we do, you need to cover distance to get from A to B and you don’t have time or energy to scout for that perfect spot for the night. You’ll find them everywhere along the main roads (albeit in the Far East there may be quite some distance in between; motorcyclists take note). We felt safe camping along the side of the road in these parking lots. E.g. 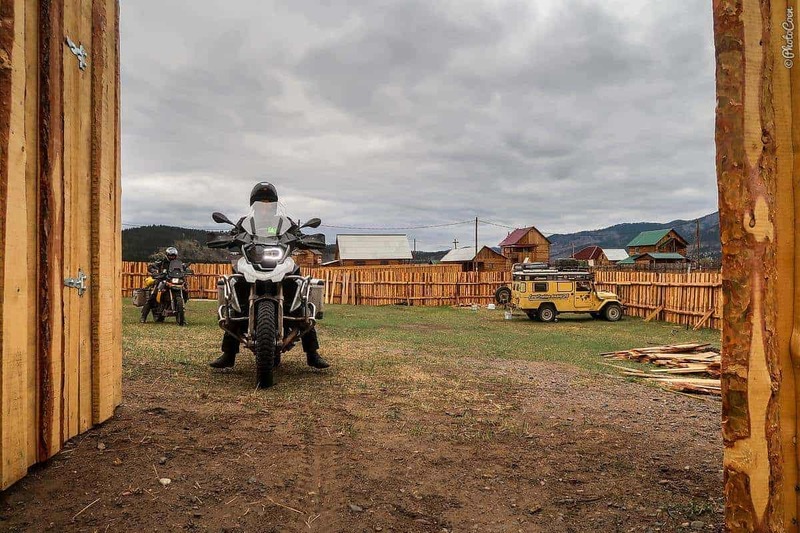 we stayed in parking lots of a gas station, cafe, restaurant, accommodation (some all are combined in one place, particularly west of Irkutsk; east of Irkutsk facilities are much more basic). We always ask permission to stay there for the night and this has never been a problem. Don’t expect WiFi in these places (buy a SIM card; cheap and simple), but in some places you’ll have at least a nice and warm place to sit for the evening and/or a cheap meal. I have not given GPS Waypoints of these places as such spots are plentiful. While waiting for the ferry to take us from Ust Kut to Lensk, we camping in this parking lot with a bunch of trucks. The toilet (outhouse) was disgusting but the banya was clean. There is a small shop right around the corner, or walk across the bridge to find a supermarket on your left. (GPS waypoint below on map). 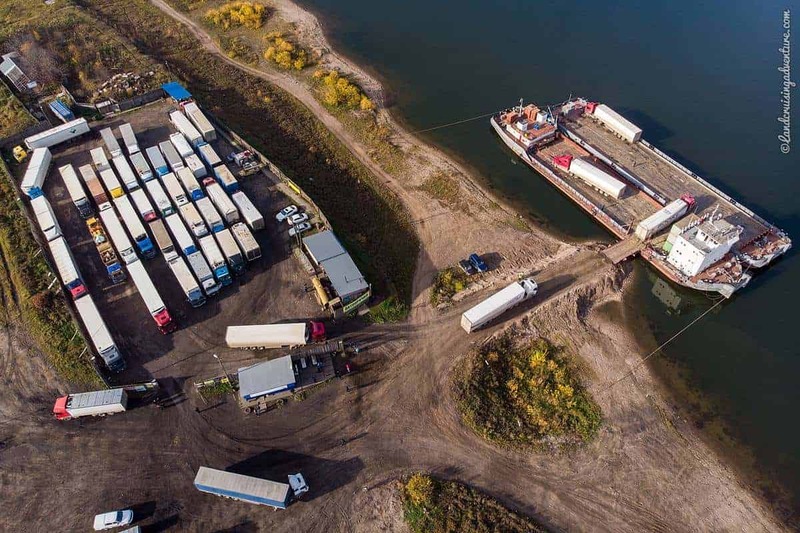 Parking lot of the barge plying to Lensk. Thus far we stayed in one campsite, the Taiga Pitch just outside Ulan Ude. 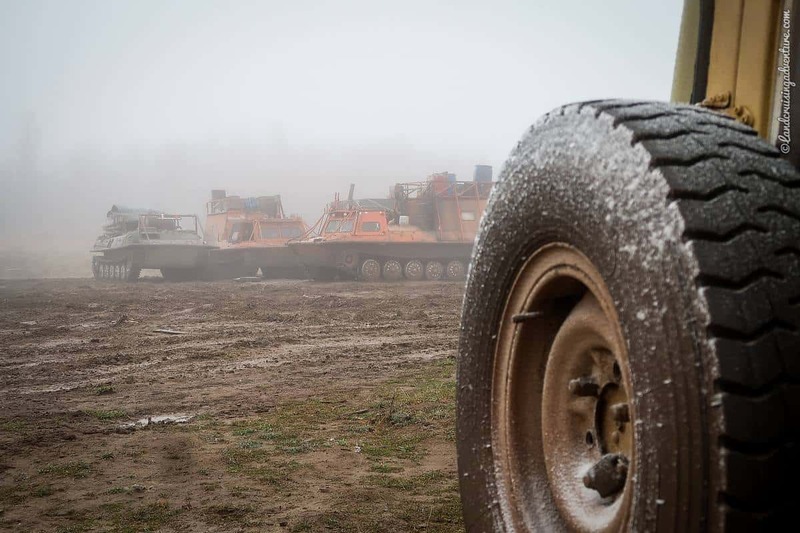 It’s in the process of being built with the intent to become a meeting point for overlanders. Find the Taiga Pitch website here. It lies at the foot of forested mountain hills, offering opportunities to go for a walk or run. 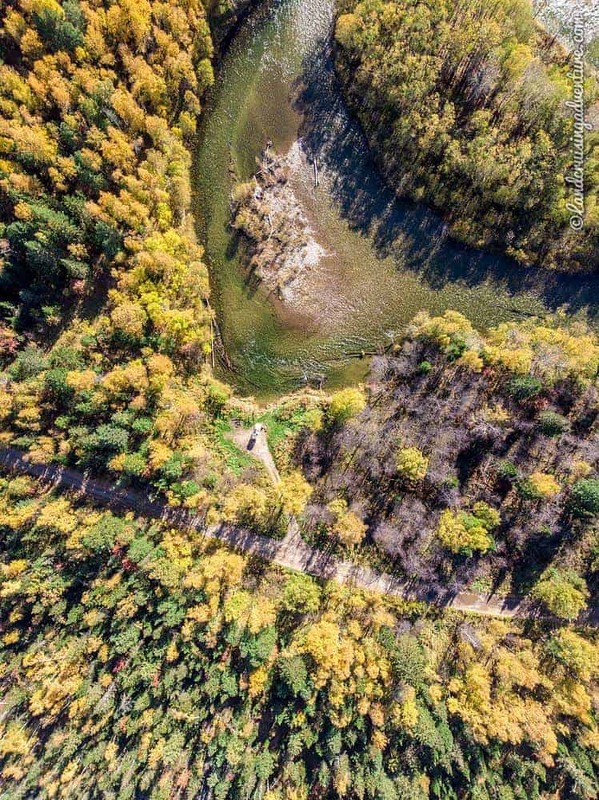 A couple of kilometers down the road are the remains of an old summer camp used by the Komosol’s Young Pioneers during the Communist Era. In any city are accommodations, varying from simple Bed & Breakfasts and Hostels to fancy, luxurious hotels in the major cities. Airbnb and Booking.com are arguably the easiest way to find one. 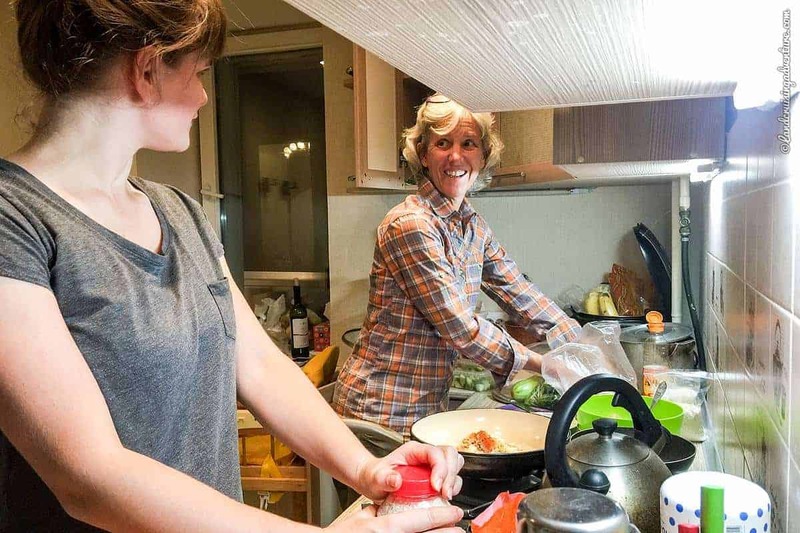 In Ulan Ude we ended up staying in an apartment for more than two weeks to get a number of issues organized. In cities we often enjoyed comfortable, warm stays under the roofs of house or apartment. In Russia we totally got into Couchsurfing and we have used it in a number of cities (here; find us under ‘Coen Wubbels’). But we met people in other ways as well, on the street, through 4×4 communities, followers who found us on the website, Facebook, or Instagram. 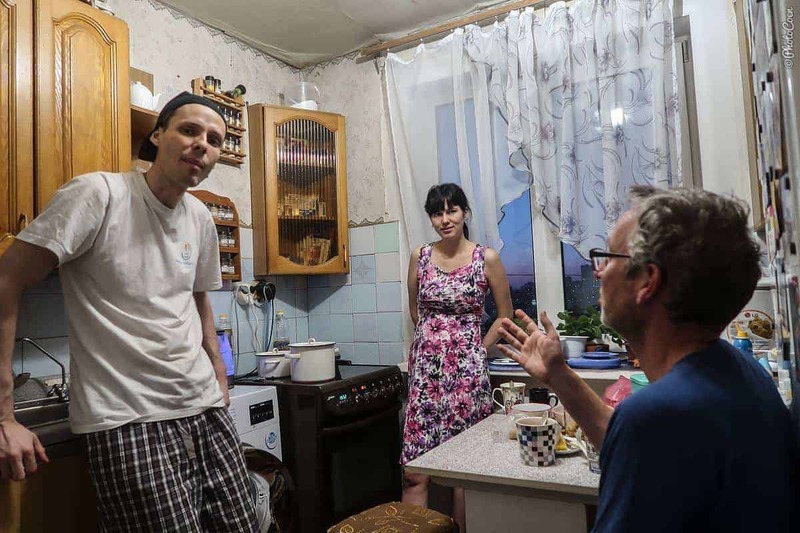 We found Russians to be kind, helpful, and super hospitable. These stays have been a wonderful part of the first part of our journey. Staying with Ramon and Tanya. 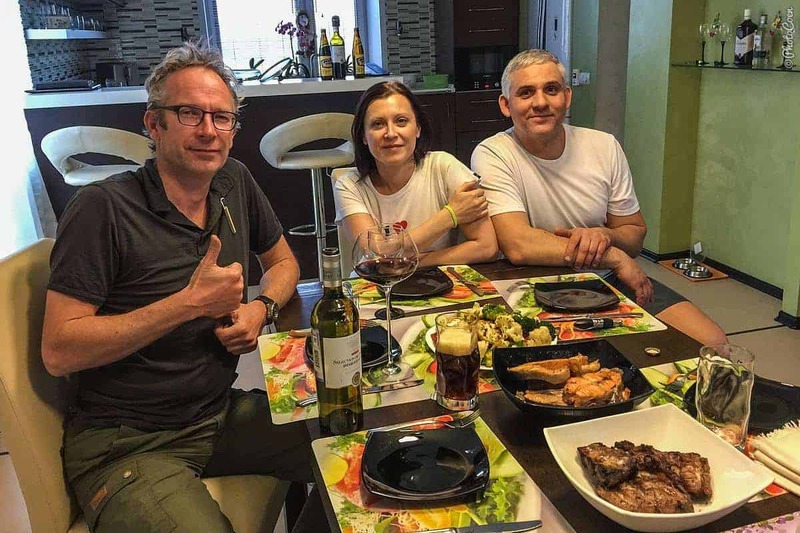 Staying with Sergey and Victoria. 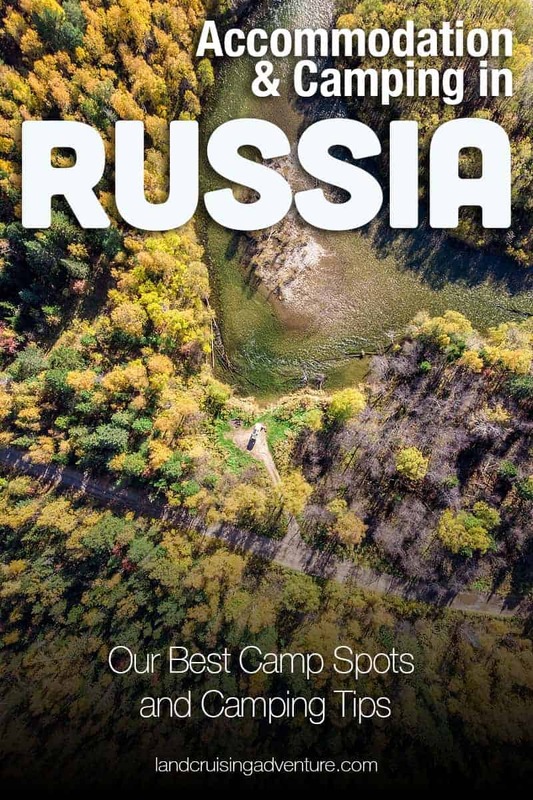 While camping in Russia was easy, the country’s climate brings the balance in making this not always particularly comfortable. We didn’t stay in Russia during the hot summer months and apparently, Siberia and the Far East are the mosquitoes’ favorite habitat. Be prepared! We, however, arrived late March in Vladivostok. We had a snowstorm in April and parts of the bays were frozen. 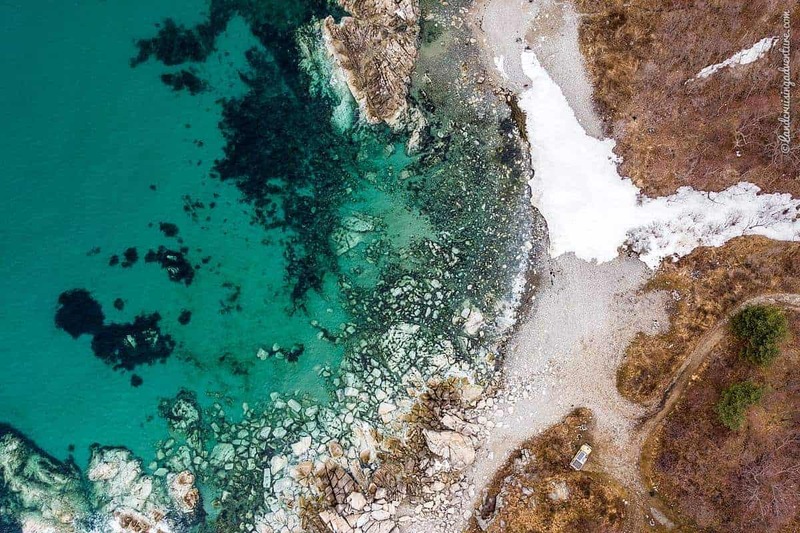 In May, we found the edges of Lake Baikal still covered with ice. 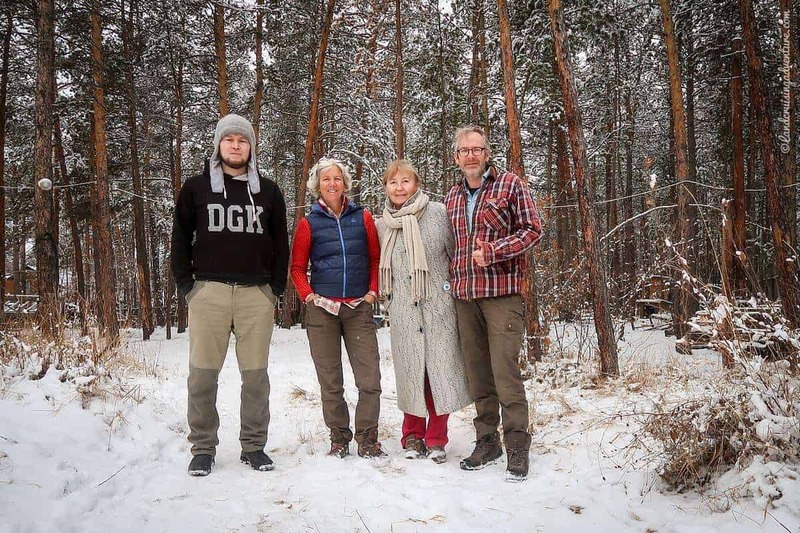 When we returned from Mongolia late September, we had exactly two weeks of autumn colors before the trees had lost their foliage and early October we had our first snow again. 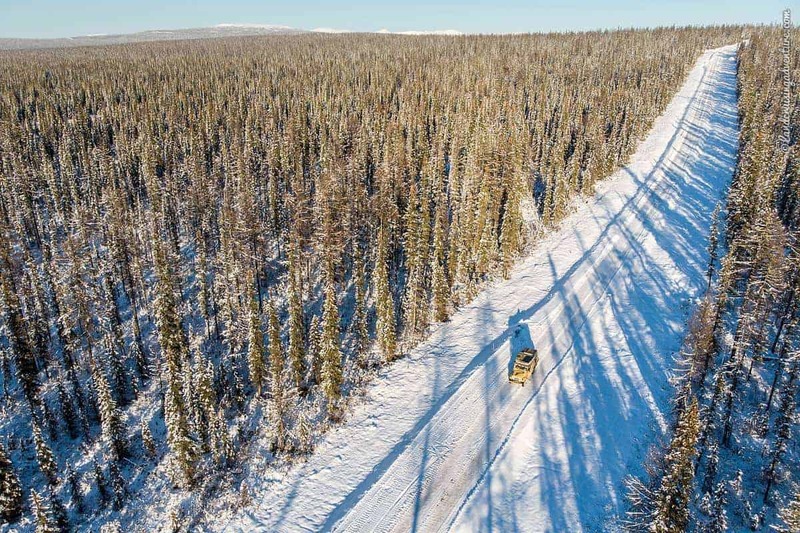 Our visas were valid from late September until late December and so while we missed the coldest months (Jan/Feb) we definitely know what winter in Siberia feels like. We had nightly temps down to about -35C (-31F) and daily temps that were as low as -27C (-16F). The beautiful part of overlanding in winter. 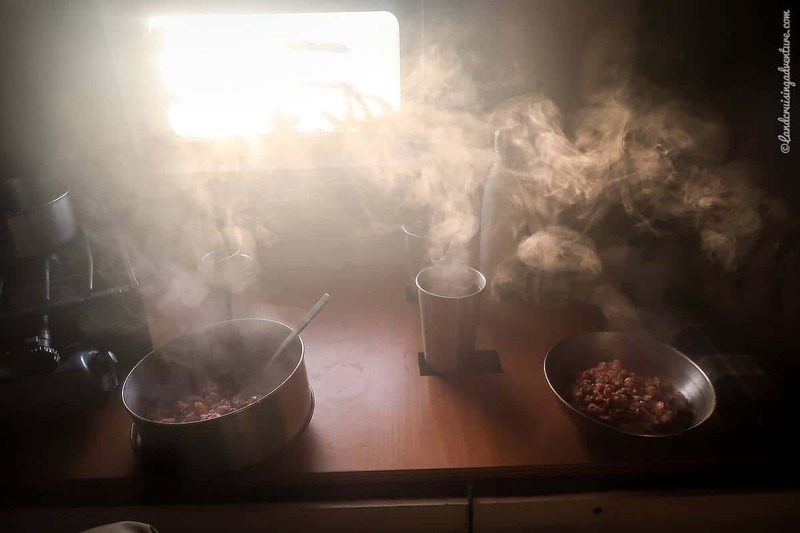 The tough reality waking up after a night of camping in Siberia’s winter. 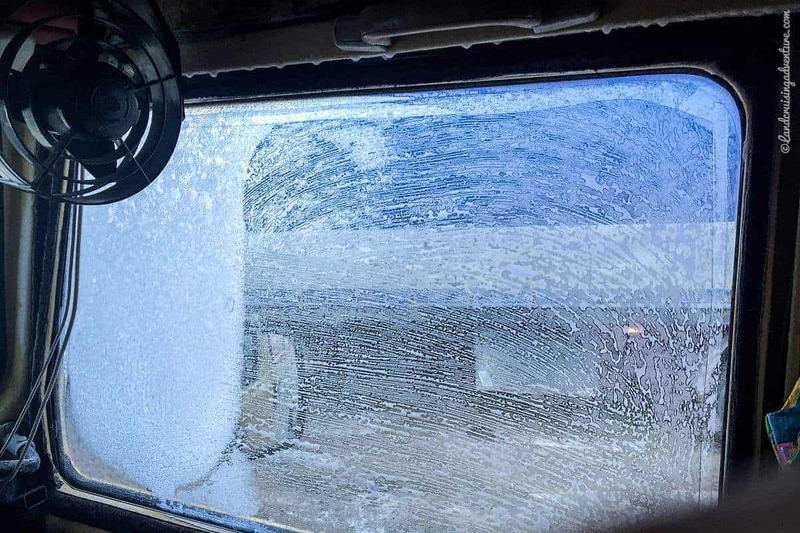 If you have a super comfortable truck, well, these winter temperatures probably doesn’t matter. You set up camp, turn on your heater and watch the cold weather from your comfy seat through the windows. 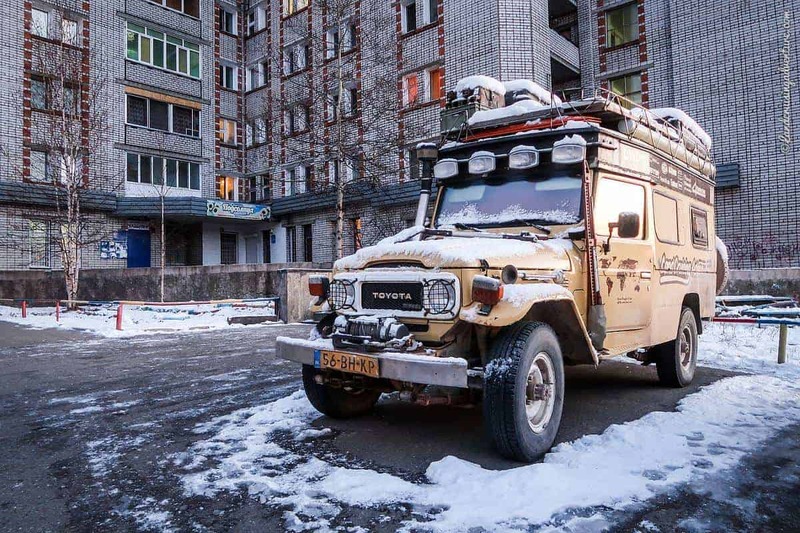 While our Land Cruiser copes very well in cold temperatures – engine wise – it does tend to get very small when confined inside for so many and very long days (light at 9 am, dark at 5 pm). 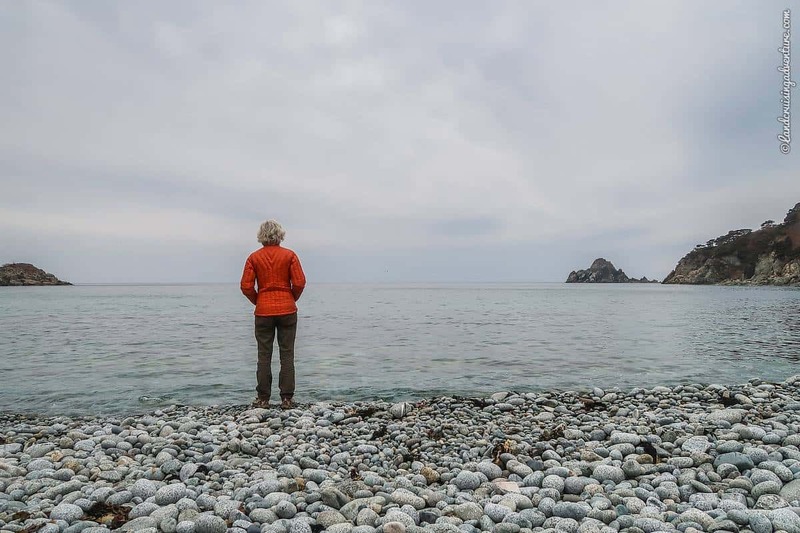 As a result we didn’t do as much of wild camping – staying longer at one place to hike, sit outside, go for swims, whatever – as we would do in warmer weather. 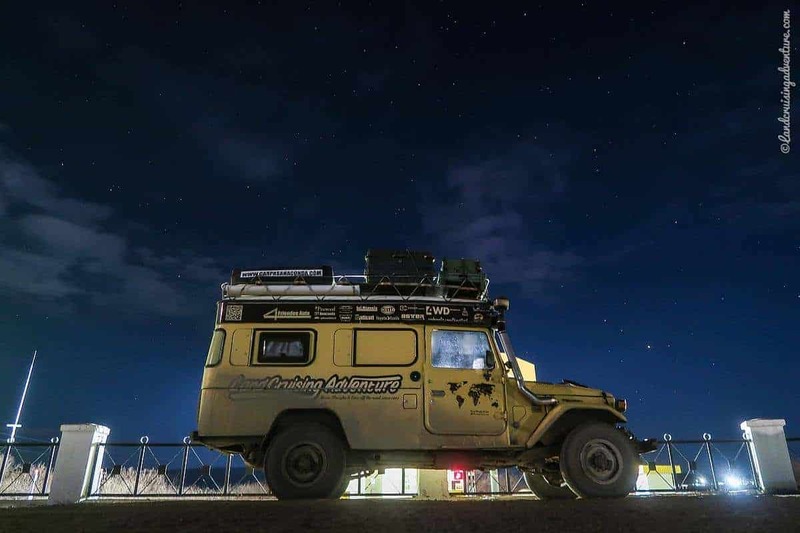 When traveling long distances this meant we settled for a simple parking lot along the side of the road rather than going off-road in search of the perfect camping spot. Considering all the sidetracks into the forest along the main roads, sure there are plenty of opportunities during warmer seasons. Talking about the forest. Whether you go there to respond to a call of nature, to go for a walk, or to camp, watch out for ticks. Particularly May and June are problematic. About 2 % of ticks are infected with Lyme and/or Encephalitis, serious diseases. When bitten, go to a hospital and if you find the tick on you, take it with you to have it tested in a lab to see if it carries either disease. More info here. As I mentioned in the Accommodation & Overland Camping overviews of Korea and Japan, public toilets in those countries are from another world. It is a luxury to easily get used to and frankly, after two years, it’s not as easy to get used to the public toilets in Russia. Expect dirty, overflowing pit toilets in shabby constructions of wood or concrete. Interestingly, to put it kindly, you may find them right along a bus stops in the middle of nowhere but not necessarily at gas stations (and if they have them, expect them to be dirty and overflowing too, even at the new HKK gas stations). The conclusion, as a local was quick to point out: “The forest is your friend”. Having said that, we are driving from West to East, and as we drive farther west the toilets do get better (say, roughly west of Irkutsk). Let there be no misunderstanding: no, you don’t have to go to these places. No, these are not by definition the best spots. 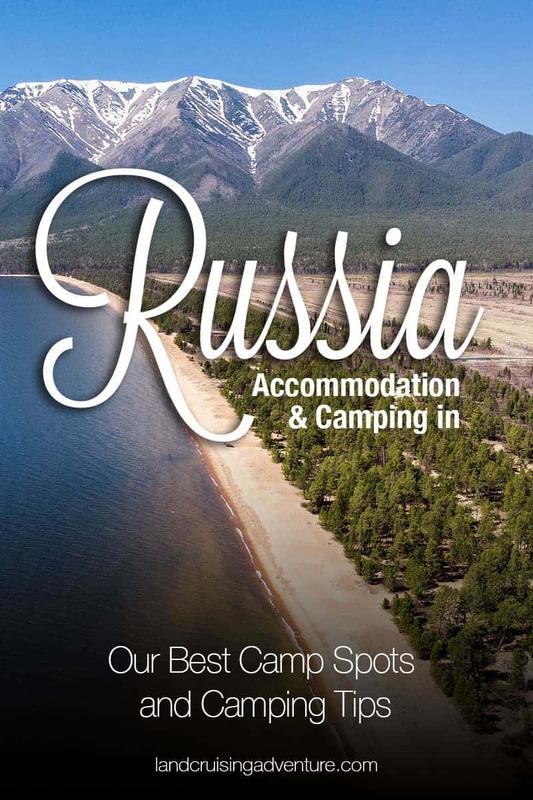 In Siberia you will have no problem finding your own places to camp. 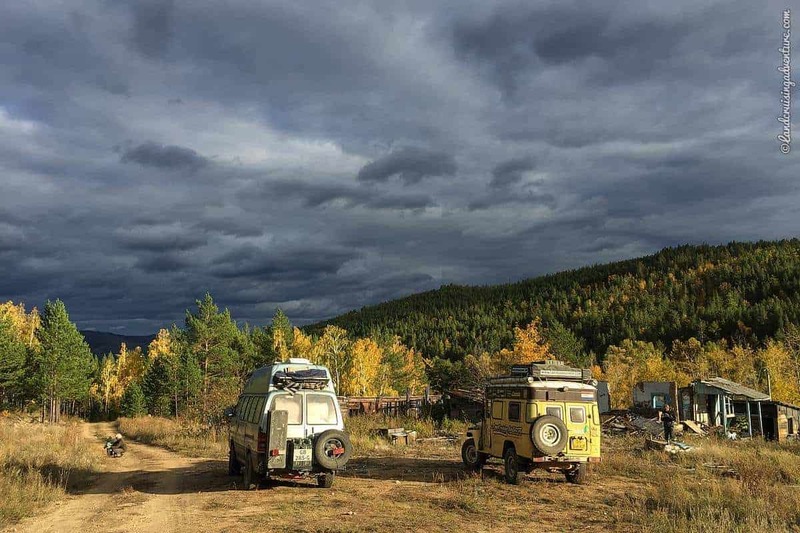 We decided to share our GPS Waypoints anyway, for overlanders who would like tips about camping spots which we enjoyed or found practical. Please note that this is always our personal experience. 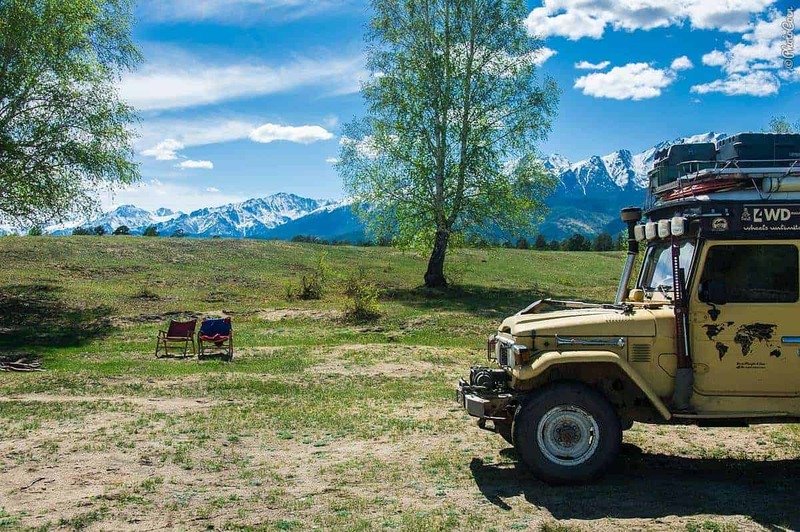 You can also check out iOverlander where you can see where other overlanders spent the night. Please add yours too. Thanks. Vladivostok, Tsesarevicha Embankment. Free of charge, kiosk with coffee and snacks. The public toilet (green plastic cabins) are open when the caretaker is there. This is generally in the weekend, and late afternoon and evening, when locals come here en mass to enjoy the waterfront. It can thus be quite noisy, until about midnight, but it didn’t stop us from sleeping here quietly. A practical place to stay when you need to do things downtown, which is within walking distance (March 2018). Vladivostok, Tokarevskaya Koshka Lighthouse. 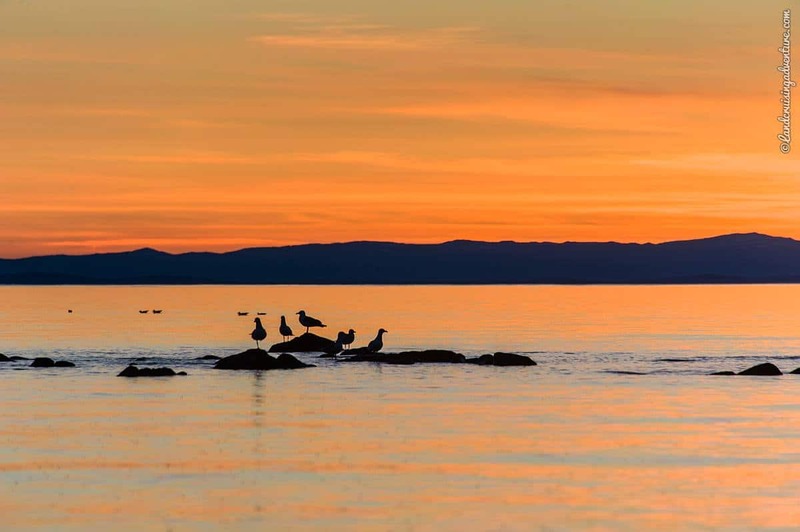 For beautiful camping head to Vladivostok's southernmost point on the peninsula. Here we camped just before the tiny island with the lighthouse. It's a place for local people to stroll for the evening and weekend but we slept quietly. No public toilet (March 2018). Vladivostok, Russky Island. On this island you can find enough places to rough camp once you’re beyond the universities. We enjoyed staying at this bay. No facilities (March 2018). Baklan Bay. You can rough camp all along the bay, however, during our stay the unpaved stretch was too muddy so we camped at this viewpoint, which is beautiful and quiet. No facilities (March 2018). Krabbe Peninsula ('Sleeping Dragon Beach'). 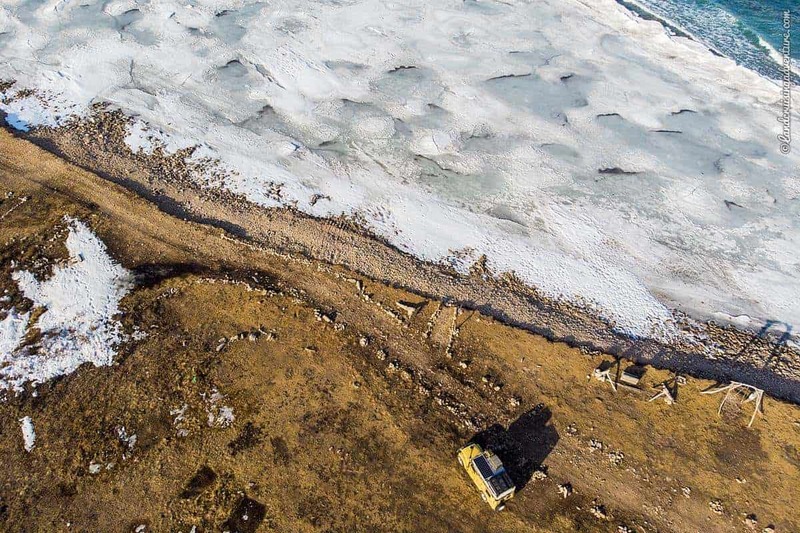 4WD/high-clearance vehicle is required to get to this most remote point of the peninsula. It’s a stunning drive and wild camp. Particular courtesy of this beach among campers: if somebody is already camped at the left side and right side (so maximum of 2 vehicles/groups on that beach), you go elsewhere. This is for true remote camping and great hiking. No facilities (April 2018). Near Groty (near Vityaz Bay). Blocked by stones, it is impossible to drive down to the bay (it is reachable on foot though we camped higher up on a flat terrain (a parking lot) that offered a great view. You need 4WD/high-clearance vehicle to get here and trees may be a problem for big/high trucks No facilities (April 2018). Telyakovsky Bay. 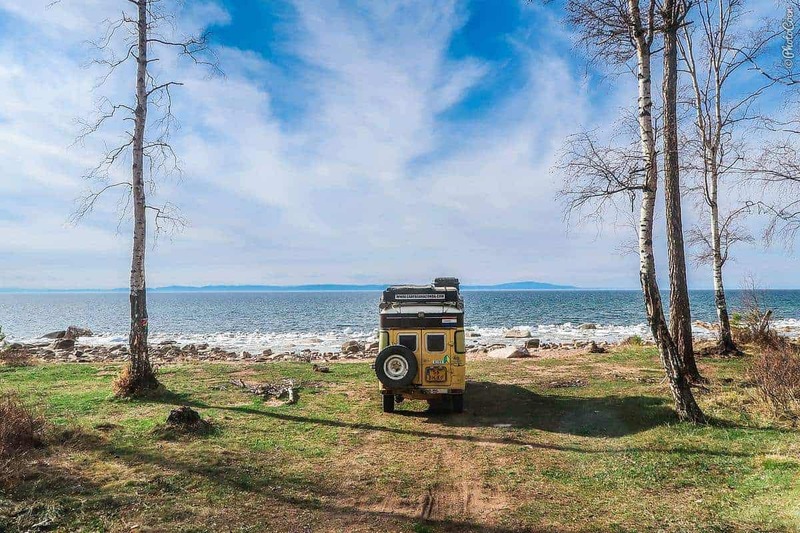 A drive farther south from Vityaz Bay takes you to another beautiful rough camp, this time right along the waterfront. You need 4WD/high-clearance vehicle to get here and trees may be a problem for big/high trucks. No facilities (April 2018). Gamova Cape & Lighthouse. Remote, near the end of a narrow off-road trail with a stunning view of the sea. We loved camping here. No facilities (April 2018). Alekseevsky Waterfall. We camped along the side of the trail and the forest. It was beautiful and quiet but if the trail allows you to drive on to the end (it was too muddy when we were there), you’ll come to an open spot right along the river where you can camp. The waterfall is 650 meters of walking from here. No facilities (630 meters / April '18). Preobrazheniye Beach. We had the long pebble beach all to ourselves but I imagine that in summers it may be busy here. Beautiful. No facilities (April 2018). Every spot looks beyond gorgeous, Karin-Marijke! Love ’em. 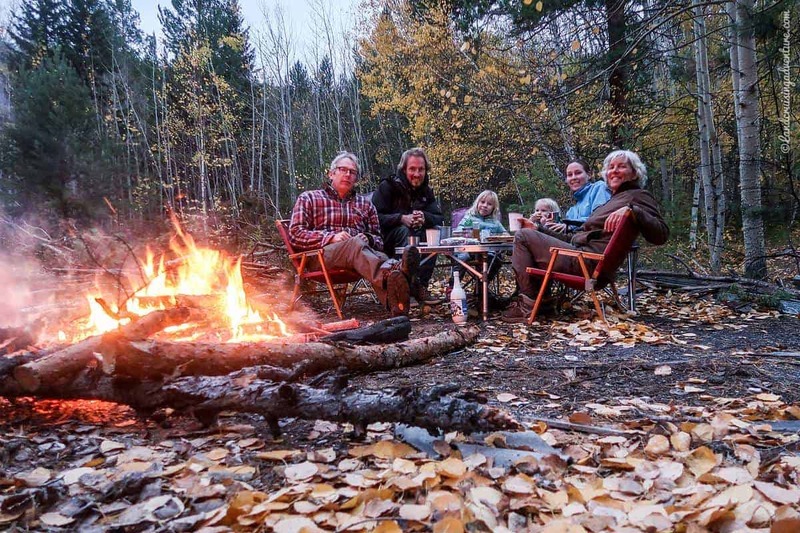 We have not camped during travels but appreciate the lifestyle more and more. Especially seeing campers all over, during our 3 months in New Zealand, last year. Glad you enjoyed this Ryan. Yes, camping is great and I can imagine in New Zealand as well; we hope to go there in the near future.